Atsushi Horiba says EVs won't ever make up more than a third of vehicles worldwide due to infrastructure issues. TOKYO -- What is the market leader in equipment for measuring automobile emissions to do if the vehicles of the future don't emit exhaust fumes? Japan's Horiba, whose gear was central in exposing Volkswagen Group's diesel-cheating scandal, believes that day will never come. 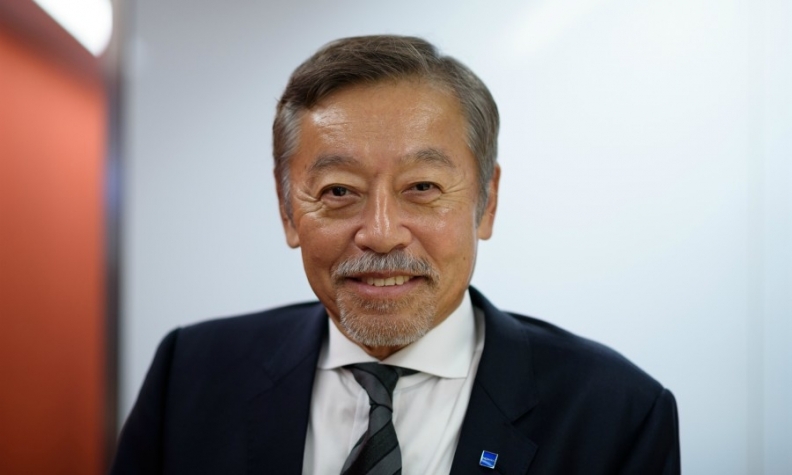 Electric vehicles won't ever make up more than a third of autos worldwide, says CEO Atsushi Horiba, because it's just not feasible to build the scale of infrastructure to enable battery-powered cars. Who, for example, would set up a charging station in the middle of the Arizona desert, he said in a recent interview in Tokyo. Automobiles with internal combustion engines -- including those using diesel -- will continue to have a place, particularly in emerging markets, he said. "Any academic who says 100 percent of cars will be electric in the future has been reading too many comic books," said Horiba, the 69-year-old son of the company's founder, speaking in Japanese. "It's not an issue of technology, it's just reality." Despite his confidence, signs are pointing to a major acceleration in the electrification of automobiles in the two years since VW admitted to installing defeat devices in diesel cars to circumvent clean-air regulations in the U.S. China, home to the world's biggest automobile market, is ushering in stringent cap-and-trade fleet-based emission and fuel-economy regulations. Governments in the UK, France, Norway and India have set aggressive targets to ban the sale of fossil fuel-burning cars, while the popularity of Tesla's electric cars have raised the segment's profile among the public. Automakers are racing to develop EVs, with Volvo aiming to introduce all electrified models in its lineup by 2019. Toyota Motor, among the most ardent advocates for hydrogen fuel-cell vehicles, is also taking steps to expand its offerings of battery-powered models. Electric cars will outsell fossil-fuel powered vehicles within two decades as technological advances push down battery prices faster than previously thought, according to a Bloomberg New Energy Finance report in July. In just eight years, electric cars will be as cheap as gasoline vehicles, the report predicts. Horiba, whose company makes about 80 percent of the automotive emission measurement systems sold worldwide, sees no need to rush and change tack. Automakers that don't continue to invest in internal combustion engines won't be able to survive the 15 or more years to see the day when EV technology starts to really take hold, he said. The Kyoto-based equipment-maker may be caught out if there's a big shift toward EVs in the near term, says SMBC Nikko Securities analyst Hiroharu Watanabe, though it's likely more time is needed to work out the issues hindering the adoption of battery-powered cars. At the same time, electrification, autonomous driving and other advanced technologies should create additional opportunities for measuring equipment, he said. Started in 1945 with the goal of continuing nuclear physics research that had been disrupted by World War II, Horiba later diversified and completed its first emissions analyzer during Japan's 1960s postwar economic boom. The company also has a buffer in its other businesses. Beyond automotive test systems, it also makes equipment to analyze water quality, blood-sugar levels and chemicals for semiconductors. While more than a third of revenue came from the automotive business in the fiscal year ended in March, over half of its operating profit came from the chip-related business. Horiba also began a foray into autonomous driving technology in 2015 when it acquired UK-based MIRA, which in addition to offering engineering consulting and testing services, had been developing autonomous vehicles for the British military. And, it has taken some early steps to position itself to exploit opportunities in testing batteries, motors and control systems for electric vehicles, Horiba said. But he added that those new businesses will be on top of, not replacements for, the services the company now provides. "We live off our real businesses, so we need to keep an eye on what's going on in the real world," he said. "We're not suddenly going to go all in on electrification and say we're quitting emissions testing equipment. That's not going to happen."